Newsweek then in turn used a photo of that photoshoot for the cover of their November 23, 2009 issue which is causing controversies, and Palin herself is not happy with the latest cover. *Subscribe to Runner’s World Magazine for only $12/year from Amazon. Save 78% off the $54 cover price. 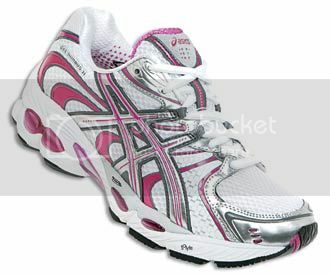 You can find ASICS Gel Nimbus Running Shoes for the best price on Amazon.